Dig it, Groove-ophiles! 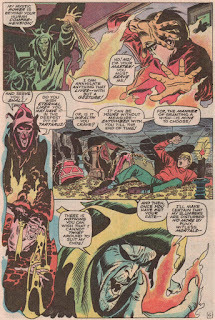 Today we've got Stan the Man Lee, Big John Buscema, and Jumbo John Verpoorten teaming for the inaugural ish of Chamber of Darkness (July 1969)! 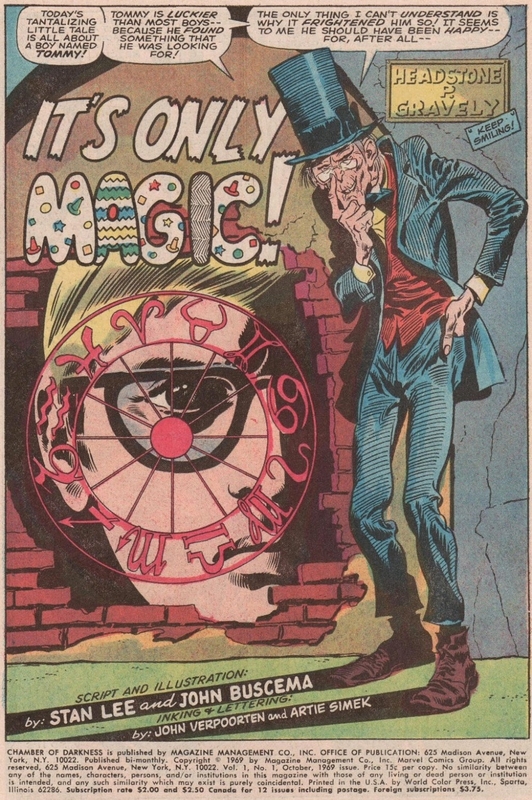 Marvel was dipping into the waters DC was swimming so successfully in with their "house" mystery mags (House of Mystery, House of Secrets, and, eh--the Witching Hour--okay, they weren't all "house" mags), that publisher Martin Goodman no doubt said, "C'mon, Stan! 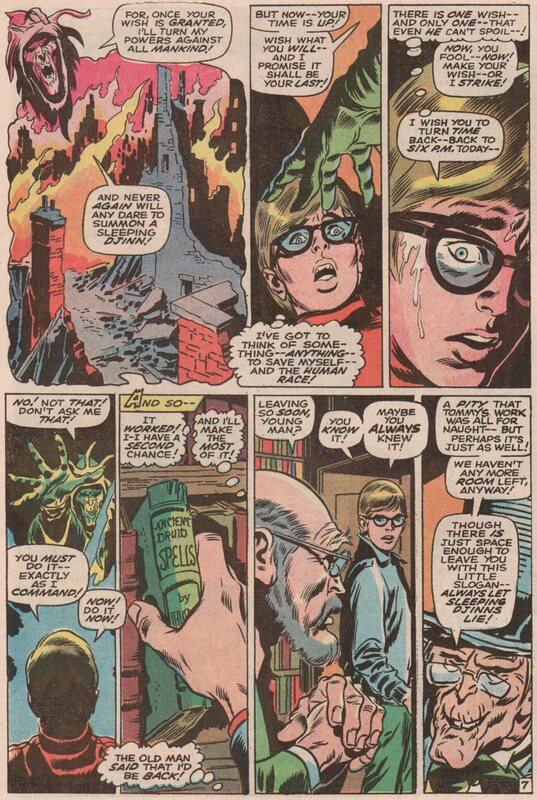 You were doing these kinda mags in the 50s--do 'em again!" 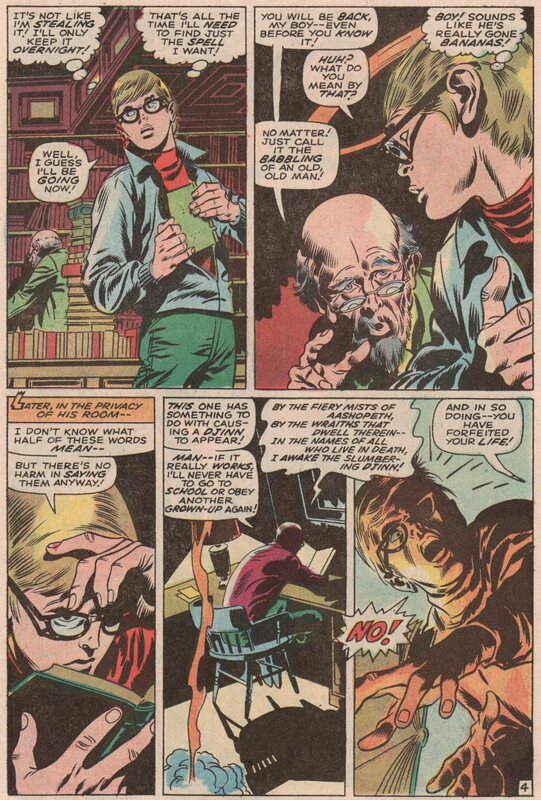 So Marvel did, complete with (short-lived) horror hosts like today's Headstone P. Gravely. What is it when Stan, John, and John get together to tell us the tale of a boy and his djinn? Why..."It's Only Magic!" 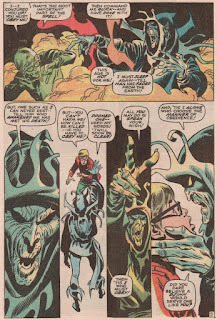 Great drawing from John Buscema during his peak period. 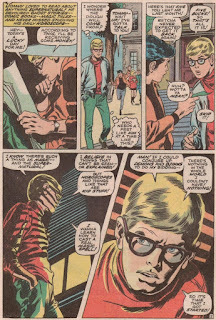 Indeed; its a shame he was given so many superhero books to do that he wasn't able to produce more work in other genres. 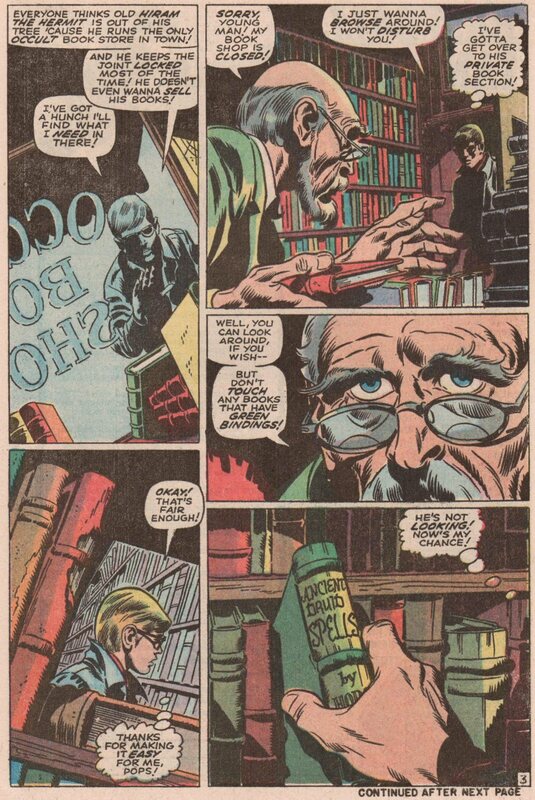 Fun story, but as much as Marvel tried to cash in on the anthology horror titles like DC had, they would never come close to what the other guys were doing, House of Secrets, House of Mystery, Ghosts, Witching Hour. I still love those titles. 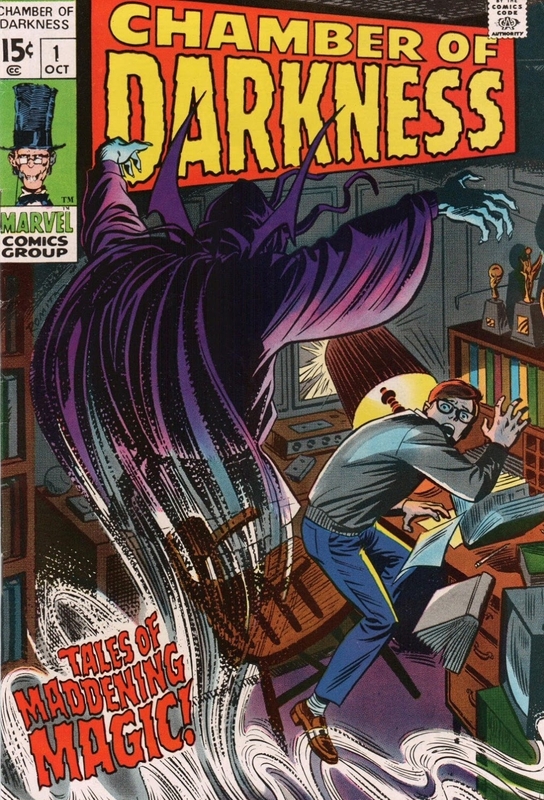 Marvel relied on a lot reprint material to fill out Tower of Shadows, Chamber of Darkness, & related titles. 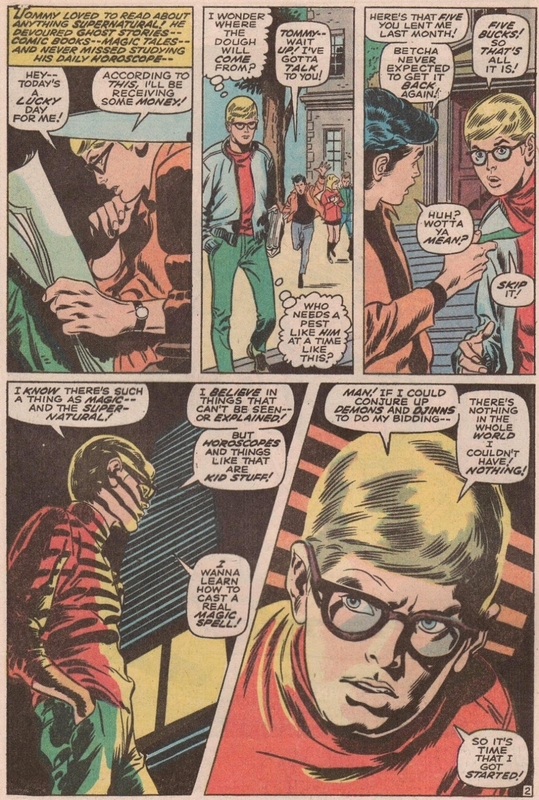 Good stuff, though quite out of step with the fashions & sensibility of the Groovy Era. However, the best of the new material for those titles certainly held its own with the DC horror anthologies; stories drawn by Steranko, John Buscema, Barry Smith, Wally Wood, Syd Shores, Bill Everett, Tom Palmer, Frank Brunner, Neal Adams, & Berni Wrightson (the last two went back & forth between DC & Marvel). I also liked it when Marvel ditched the horror hosts & let the artists draw themselves introducing the stories. The new material was the best. I think "At the Stroke of Midnight" is just about the perfect story. 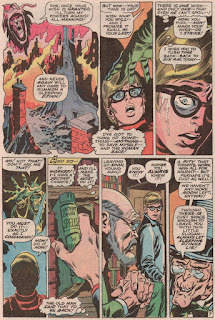 What Steranko was able to achieve in 7 pages with coloring, cinematic techniques and panel breakdown/timing is amazing. 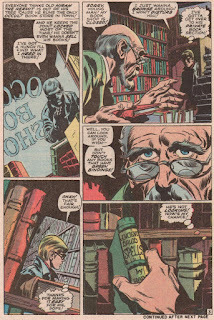 It was made into an episode of "Short Stories" starring John Carradine as the old man. Never saw any of this '80s anthology TV series, though. 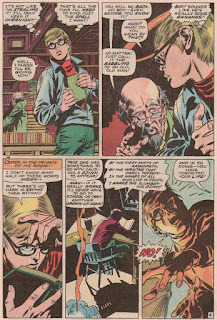 Buscema also superbly drew "Look Out, Wyatt---Automation's Gonna Get Your Job" in Tower of Shadows #2 in 1969. Hope you share that one, too.